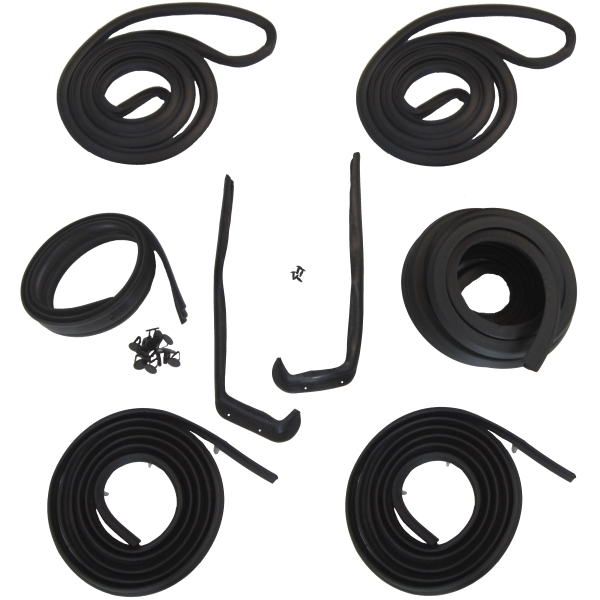 This eight (8) piece kit includes the major weatherstrip components and some other essential parts needed for your restoration project. These parts are designed from originals with fully molded corners and end pieces for superior performance and factory fit. Note: For early 1954 models with glued in front door weatherstrip. For late 1954 models with clipped in front door weatherstrips, see our kit# 90-3102-90.